Sir I Em Muslim But I Don’t like Islam I eM from Pakistan City karachi I Read The Bible And It’s a fabulous Its Better Than Quran I Want change My religion I Want Join And Follow the bible SoO Plz Tell Me how Can I Do.. Welcome Bilal, I am glad the Lord had drawn you to Himself, worthy is the Lamb that was slain for you and me and he will perfect that which concerns you in Jesus name. Peace be unto you. In order to be saved, we must follow Jesus’ 2 greatest commandments. 1- Love God with all your heart. Anyone can say #1, but few can do #2. Faith without works is paying Jesus a lip service. Hello Mike. The Bible never says obey this command and be saved. We are told to repent and believe in Christ. It is the free gift of God. No works are involved. But a saved person will produce works, so you are not correct sir when you said “in order to be saved, we must follow Jesus’ 2 greatest commandments.” That is not scriptural sir. I am very pleased to hear that you are interested in learning more about Bible and Jesus Christ. I met a Pakistani Christian in Melbourne, Australia. He might be able to help you in your pursuit of your desire to become a follower of Jesus Christ. Welcome board, God’s love will surely transform your life. This is the information about this Pakistani Pastor Nelson Pervaz. You can hear preaching through skype I think at regular time everyday. please look up. your post “Bible Verses About Love: 25 Awesome Scripture Quotes”are very special for us. This love quotes are very special for everyday life.I have collected many quotes from you, and I will come back soon. It’s encourage to work everyday life. So thanks a lot for doing this job. Bible Verses About Love: 25 Awesome Scripture Quotes has really inspired me and my family and it has added more love in our midst with friends. Thank you for making it easy for one to read most verses about love in one page. Thank you. very inspiring. I could use some of your verses in my Devotional blog. God bless more. 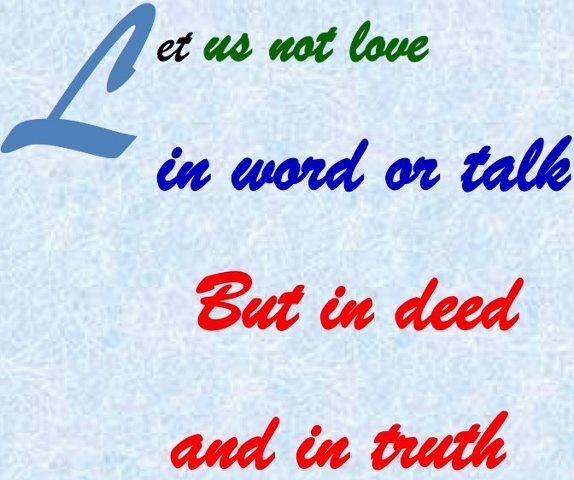 Love is an action word, it has more power when shown through your deeds. I have to remind myself on a regular basis to commit to show my wife that I love her, even when it is not convenient or I do not feel like doing it. I am still a work in progress, and I am thankful to have the Word guiding me to be a better husband, father, brother, son, and friend. more information on love of God!! more in deep of love of God!! thanks you!!! Bilal when I read your comment I was overwhelmed. Tears of joy are running down my cheeks as I speak. Welcome to the family brother. You have made a choice that will change your life like no other. Keep strong by staying in your Bible. I love you brother. Please talk to your pastor about this Mr. Jones and ask for “unspoken needs” in asking the saints of the church to pray for you too. Don’t try to do this alone. I will pray but you must take action too and I know you and I both will struggle all our lives with sin but at least you are wanting to overcome this, and that’s a sign of the Spirit of God working in you. Bilal Khan: Yes! Run to Jesus! run into his arms, and never return to that false belief. Jack Wellman and You preached well boy!!! Let us just say that I am involved in the business of love and that I am mightily moved by the verses on love that I read, and even more so the comments I read here. I don’t think we can be caught up in our own feelings of guilt about our sin and be effective lovers though (if you see what I mean). I’m sure our Lord would understand and forgive us our misdemeanours. May you be blessed with peace and forgiveness. Bilal and Arun, your testimony of faith has moved my spirit. I am praying that both of you will continue experience the fruit of your choice to serve Jesus. He is a kind, loving and giving God that will never ask anything of you that is contradictory to those very things. Just by accepting Him, you are free from the chains that have been weighing you down. This is a quote from above New Testament. Jesus has called us to be brothers and sisters of him and as friends of him in Spirit as well as teacher, as he was referred to as Rabbi. He called us to not be his slave and him our Master/Saviour, for did the Quran not tell you that man was the slave of Allah alone? Moreso, a slave to certain spiritual laws that are inescapable. For people looking to become Christian e.g. Bilal and other commenters. Please please read for yourself and ask for God’s illumination of the words to your personal self/heart. Quran says that Isa was a Muslim (one who submits to God/Allah) and his words here prove he was, just look what he asks in the quote?! Heaven is Jannah, and the Kingdom of God is comparable to Al Firdous and Jesus provides a way to Al Firdous whereas the Quran does not make this a priority. Christhood is a state of consciousness that is free to all, not worshipping a false idol like the Quran correctly warns, (it most frequently uses the English translation of deluded for this.) Nobody enters Al Firdous but by me (not the person of Isa, but the consciousness of Christhood applied to your own being.) For he came to make the children of God, “Christs” meaning, you. Jesus may have been “the only son” but he came so that ALL may be sons also. He was the example, not the exception. Matthew 5:43-48 “You have heard that it was said, ‘You shall love your neighbor and hate your enemy.’ But I say to you, Love your enemies and pray for those who persecute you, so that you may be SONS of your Father who is in heaven. Thank you for your comment but please know that Jesus is God and the one and only Son of God. We become the children of God by Jesus’ sinless life, His suffering and death on the cross, and His resurrection. The Quran is full of errors. One example is according to the Quran (Surah 19:28, 3:33-36), Mary, the mother of Jesus, was the daughter of Imran or Amram, the father of Moses and Aaron. Mary is also said to be the sister of Moses and Aaron. Clearly Muhammad confused Mary with Miriam.